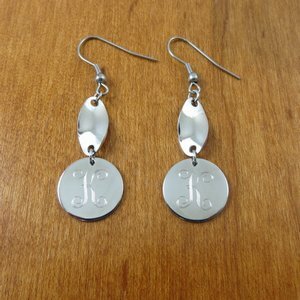 Personalized monogram ear rings.These Personalized monogram earrings made of stainless steel and chrome plated are Very high quality and excellent bridesmaids gift. 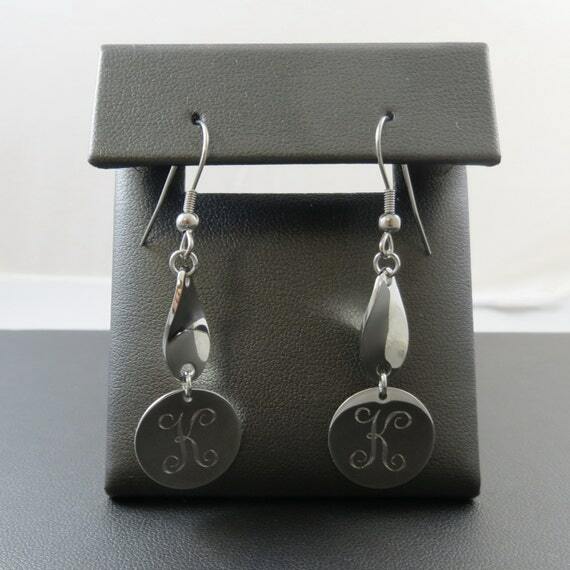 An engraved monogram has a classic look and is the perfect way to personalize that special occasion. Excellent bridesmaids gifts.